Here is another HJ from the north west I was driving along the highway in southern BC and saw this in the corner of my eye. I slammed on the brakes and had to take a look. It's a 53 with the usual floor rust and a sold sign painted on the vent window No one was home so I couldn't find out the details on it. Well I got home and had the photos done and when I looked at this car it looked familiar. 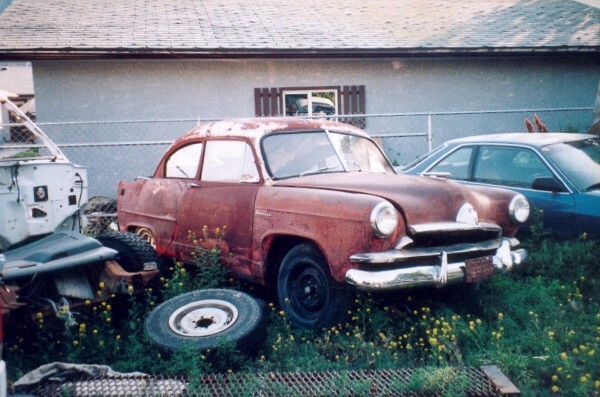 I looked in a old photo album I had and I taken a picture of this car 25 years ago. 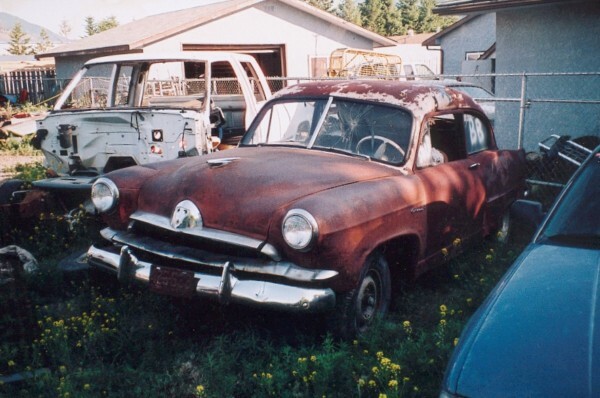 It was 50 miles from this spot in a junk yard I always wondered what would happen to it Well here it is This HJ has 1962 plates on it. 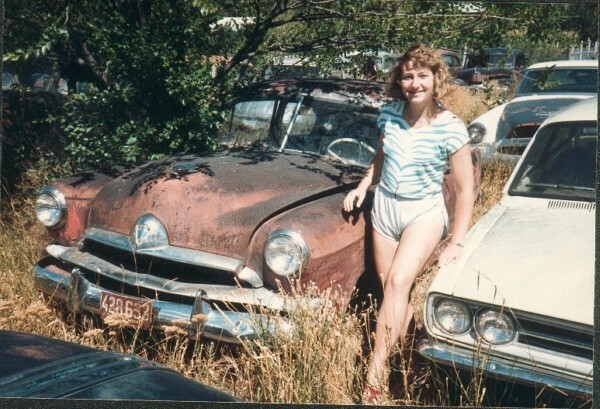 I will include it's photo from the the early 80's Note the licence plate condition.